While the standard formatted ticket form ask for the minimal amount of information and makes it easy for users, sometimes it just may not be sufficient. Customers may need extra, more specific information fields to capture additional details regarding each ticket request. To cater for such requirements, our helpdesk provides the flexibility to handle these business cases. 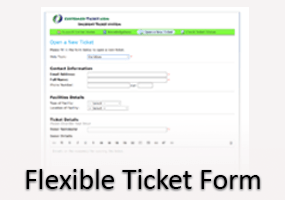 With flexible ticket form, our helpdesk can be configured to allow versatile data design. Different questions can be asked upon opening tickets of different issue topics. Data field options including Date fields with a Calendar, Number fields, Select/Choices fields, Short and Long text fields are all available when configuring new sections of information request. Here below presents 2 of the scenarios where additional data fields are required. While “Contact Information” and “Ticket Details” sections are standard and will be available for all Help Topics, the “IT Request Details” and “Facilities Details” are 2 sections specific to their respective Help Topics only. 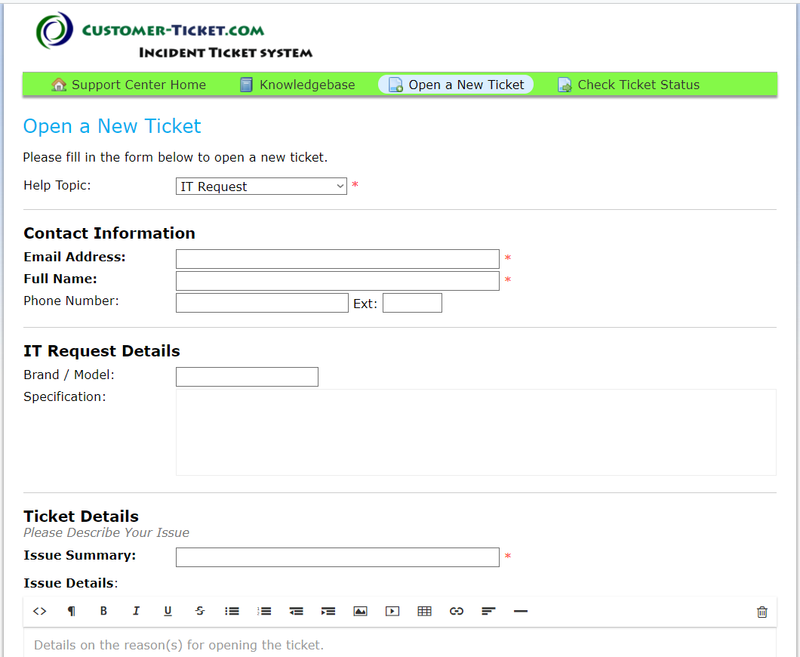 Below shows a screen of the Open Ticket form which is customized to include extra details with regards to IT requests. The section “IT Request Details” will only show up when “IT Request” is selected in Help Topic. 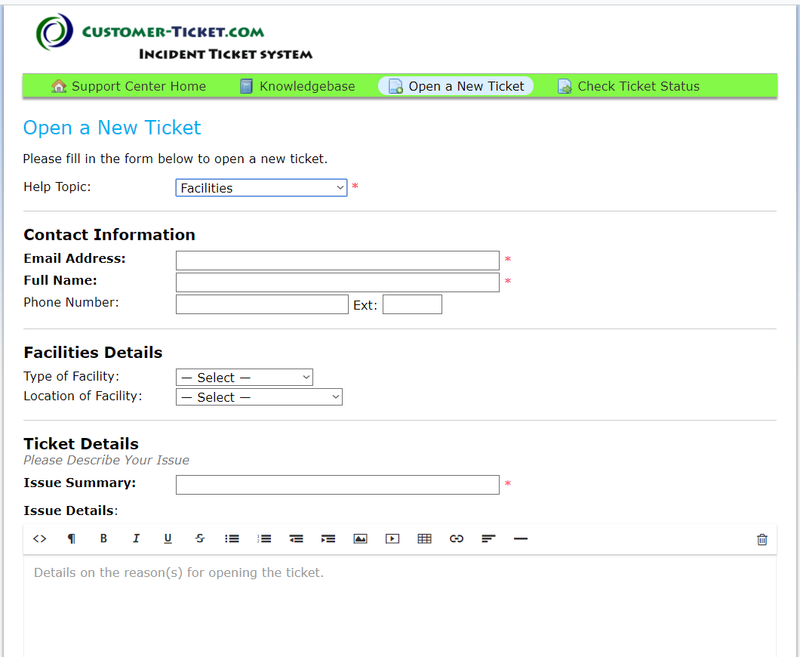 Below shows a screen of the Open Ticket form which is customized to include extra details with regards to Facilities requests. The section “Facilities Details” will only show up when “Facilities” is selected in Help Topic. About the feature “Flexible Ticket Form”, click here.